An American football wide receiver for the Los Angeles Rams of the National Football League is named as Cooper Kupp. His playing position is the Wide receiver and plays the game wearing the shirt number of 18. He had played in college at Eastern Washington and received All-America honors. 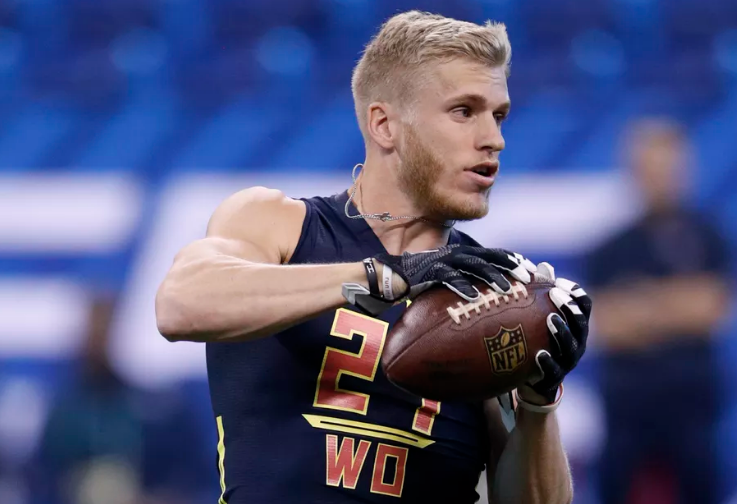 Kupp was drafted by the Rams in the third round of the 2017 NFL Draft. He is a very talented player. Cooper Kupp suffered torn ACL. Rams receiver Cooper Kupp's outlook isn't bright after he went down with a knee injury in the second half of Los Angeles' 36-31 win over the Seattle Seahawks. NFL Network Insider Ian Rapoport reported the initial concern is Kupp suffered a torn ACL. Kupp was attempting to run a route downfield when he cut off his left leg and immediately went down to the ground, clutching his leg near his knee. He was helped off the field, taken to the locker room and quickly ruled doubtful to return. He missed the rest of the game. Being the best wide receiver. 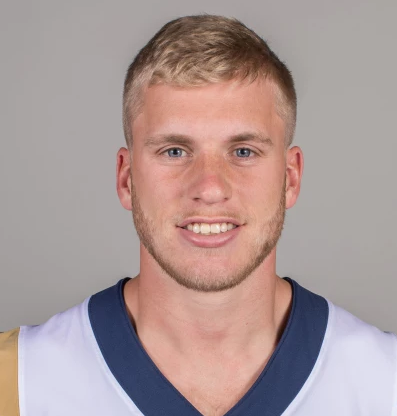 On 15th June 1993, Cooper Kupp was born in Yakima, Washington. His nationality is American. He was born to former NFL quarterback, Craig Kupp and his wife, Karin Kupp (a personal trainer and former soccer player at Pacific Lutheran University) in Yakima, Washington. He also has a brother named Ketner Kupp. His Zodiac sign is Gemini. His ethnicity is White. His grandfather, Jake Kupp, was an offensive lineman for the University of Washington and was drafted in the ninth round of the 1964 NFL Draft by the Dallas Cowboys. Regarding his education, he attended and graduated from Davis High School in Yakima in 2012. Later, he attended Eastern Washington University. Cooper has got an athletic body. He has a tall height of 1.88 m and has a balanced weight of 94 Kg. With his charming smile, he attracts a lot of people towards him. His other body measurement will be updated soon. Cooper started his career from his university where he signed to play for coach Beau Baldwin's Eastern Washington Eagles football team in the year 2012. He entered his redshirt freshman year as a starter at wide receiver in the year 2013 and finished his season having set numerous single-season school and national receiving records at the Football Championship Subdivision Level. He was also named as the recipient of the 2013 Jerry Rice Award on 16th December 2013. He was honored by the College Football Performance Awards with the 2013 FCS Wide Receiver Award on 9th January 2014. He finished his sophomore season with 104 catches for 1,431 yards and 16 touchdowns in 13 games. He finished 18th in the 2014 Walter Payton Award voting. He finished the 2015 season with 114 catches for 1,642 yards and 19 touchdowns in 11 games. He also won the Walter Payton Award, becoming the third Eastern Washington player to win the award and only the second wide receiver to win, after Brian Finneran of Villanova in 1997. He announced that he would return for his senior season after speculation that he was considering entering the 2016 NFL Draft on 30th November 2015. He finished his 2016 season with 117 receptions for 1,700 yards and 17 touchdowns. Later, he attended the 2017 Senior Bowl and made two receptions for 14 receiving yards for the North, who lost 16-15 to the South. He was also ranked the eighth-best wide receiver in the draft by NFLDraftScout.com. After that, he was selected by the Los Angeles Rams in the third round (69th overall) of the 2017 NFL Draft. The Los Angeles Rams signed him to a four-year contract with the transfer rate of $3.83 million that includes a signing bonus of $954,760. He made his professional regular season debut in the Rams' season-opener against the Indianapolis Colts. On 6th January 2018, he appeared in his first career playoff game and made eight receptions for 69 yards and a touchdown as the Rams lost by a score of 26-13 to the Atlanta Falcons in the NFC Wild Card Game. He caught nine passes for 162 receiving yards and two touchdowns during a 38-31 win against the Minnesota Vikings on 27th September 2018.
Cooper is a married person. He is married to Anna Kupp. They enrolled Anna at Richland High School in Richland where she graduated from in 2012 before proceeding to the Eastern Washington University to study public relations. The couple is living a happy life and there is no any sign of separation between them. The couple is planning to have a baby soon. Cooper's net worth is surely in millions as he is one of the well-paid players. Los Angeles Rams WR Cooper Kupp has career earnings of $2.06M over two seasons, which ranks 2263rd among active NFL players entering 2018. He earned $704K in 2017, which ranked 91st among WRs and 878th overall in the NFL. He is earning a good amount of money from his career. His exact net worth and salary has not been revealed yet and will be updated soon. He was selected by Los Angeles Rams in the third round (69th overall) of the 2017 NFL Draft. He earned $704K in 2017.